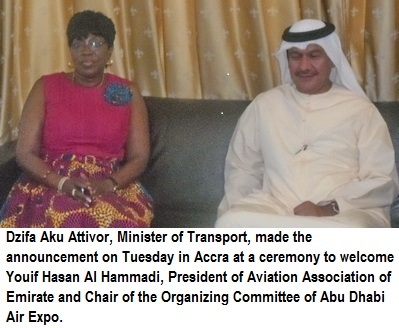 ACCRA- Ghana is to host the first-ever global aviation exposition in Africa in Accra, in 2014. 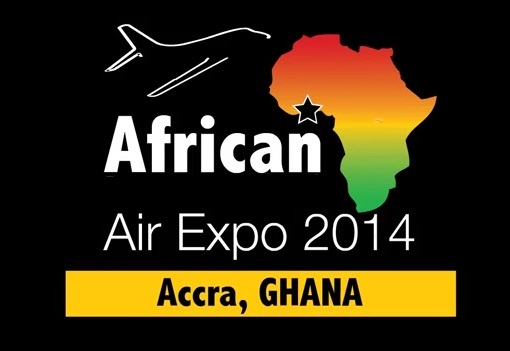 As a prelude to that event, a Presidential Advisor, Mr PV Obeng, has launched the “African Air Expo 2014,” which would bring to Ghana all stakeholders in the aviation industry from around the world from October 9 to 11, 2014. The event will be organized by the Ministry of Transport in collaboration with the Internal Centre for Excellence (ICE) of Abu Dubai, who have been involved in the domain of aviation human capital development for years. The other organisation is 4M Events, the organizers and hosts of the Cannes Air Show held annually in France. The launch attracted major players in the industry from around the world. “It is an invitation that goes with responsibility” he said and noted that Ghana would live up to its name as one of the best destinations of investments in Africa and the aviation hub of the continent. He charged the Ministry of Transport to provide a conducive atmosphere that would foster stronger collaboration with the private sector in the country in organizing a successful event and that this would send a strong signal to the world that Ghana was the best destination for public-private partnership. He announced that for adequate preparation, a local organizing committee would be put in place and it would consist of the ministries of Transport, Tourism, Ghana Civil Aviation Authority, Ghana Airport Company Ltd, Ghana Immigration Service, Ghana Revenue Authority, National Security and Ghana Air force.